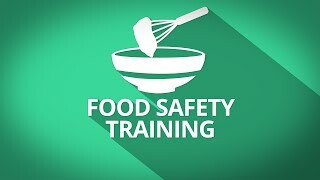 Here at Elite Personnel Training our online level 2 food safety course has been designed for employers or employees who work where food is prepared and handled. This can range from a number of settings such as working in a pub, hotel or restaurant or working in a supermarket or even if an employee works with food in a hospital. This level 2 online food safety course will help employers and employees know their legal responsibilities and learn what constitutes best practice when it comes to controlling food safety hazards, temperatures and personal hygiene and premises cleaning. Food safety combines a number of practices to reduce health hazards. These include premises hygiene, personal hygiene, risk control, pest control and waste management. This level 2 course is about minimising the level of potential hazards in a food manufacturingsetting. The Level 2 Food Safety - Manufacturing course is accredited by the CPD Certification Service and approved by the Royal Society for the Prevention of Accidents (ROSPA). *The course duration is based on the amount of video content shown and is rounded off. It does not account in any way for loading time or thinking time on the questions. Learners full name and valid email address are require to register for this online course, please allow 48 hrs for delivery via email of your login details. Food handlers of any area in a manufacturing setting. People wishing to develop knowledge and understanding to enable them work in a food manufacturing environment.